Advanced Safety and Quality Solutions (ASQS) is a global provider of SMS and QMS aviation software. The company specialises in the development and customisation of integrated safety and quality management solutions for airlines, business jet operators, helicopter operators, airports, ground handling agents / FBOs, and maintenance organisations. Founded in 2009 and headquartered in Vienna, Austria, the company’s products are used in the daily operations of more than 160 aviation companies worldwide. ASQS’s Integrated Quality and Safety Management System, IQSMS, is a web-based, modular safety, quality and risk management solution for the aviation sector that has been developed by aviation industry experts and experienced IT professionals. Devised to increase operational safety and efficiency, IQSMS supports customers in the optimisation of processes and manuals, their hazard and incident reporting, as well as internal and external auditing. 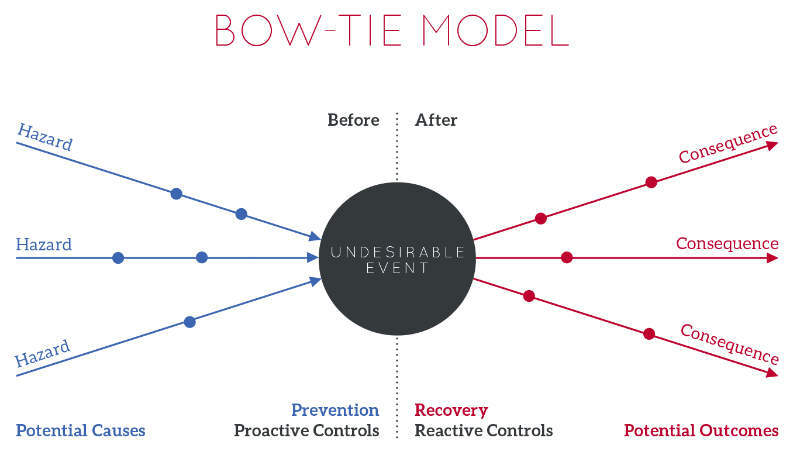 In addition, it provides support for risk assessment, landscaping and wildlife management, analysis and tracking of corrective actions, safety performance monitoring and measurement. Furthermore, it aids the conduct of FAA Part 139 self-inspections, enabling airport operators to improve safety and FAA compliance via the automation of daily self-inspections. In order to ensure that customers meet national and international standards, IQSMS complies with all relevant legal requirements, including International Civil Aviation Organization (ICAO) Doc. 9859, ICAO Annex 19, European Aviation Safety Agency (EASA) and US Federal Aviation Administration (FAA) requirements and recommended practices. ASQS regularly keeps track of legal amendments, in order to provide a consolidated, constantly up-to-date regulations database, which is included in the Quality Management Module. The integrated management system IQSMS provides a wide range of interrelated and/or interacting modules with specific functions, designed to improve operational efficiency due to seamless and secure data exchange. As all clients have different requirements, the company’s highest priority in the development of its products is to create tailor-made solutions to suit the individual business needs of its customers. In collaboration with its clients, ASQS analyses their specific requirements and customises the system to meet their specifications, always careful to avoid changes in the customer’s existing organisational processes. Due to the modular set-up of IQSMS, customers can easily assemble their individual solutions by deciding which of the provided modules support their company most efficiently. 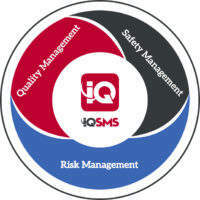 IQSMS allows clients to manage safety, quality and risk management data with a single integrated tool. Information can be transferred easily from one module to the other, in order to maximize the company’s productivity, reduce operating costs by eliminating time-consuming paperwork, and optimise internal and external working processes, improving the company’s overall performance. Via the IQSMS centralised database, all the data (crew reports, audit findings and recommendations, etc) is directly accessible and processable from anywhere at any time, as long as an internet connection is available. 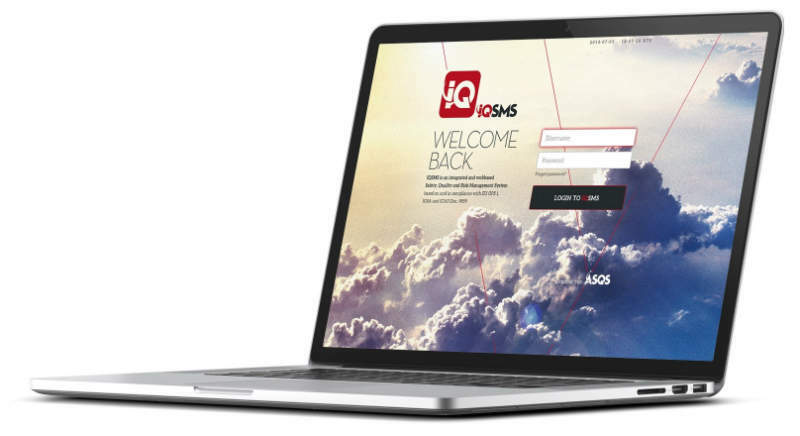 IQSMS is hosted on ASQS servers and thoroughly maintained by the company, so that customers have no additional costs for IT infrastructure or IT personnel. IQSMS helps managers to track open tasks. Whether they still have open findings, pending tasks, or corrective actions to take on occurrence or hazard reports, IQSMS simplifies the process. All outstanding actions are displayed on one screen in the centralised Action Board, eliminating the need for extra navigation through IQSMS to get a tasks overview. 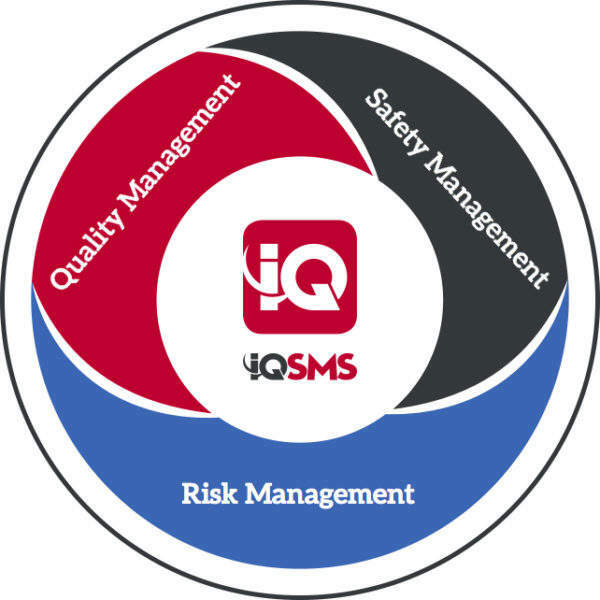 The IQSMS Offline Apps for mobile devices enable users to create reports, perform audits and self-assessments even if they have poor internet connectivity or are lacking internet access, and thus ensure operational continuity. All data entered in the offline systems is automatically transferred to the IQSMS server as soon as an internet connection is established. 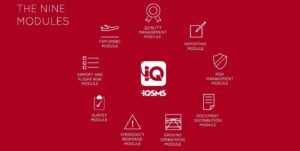 IQSMS offline apps are available for the Quality Management Module (iOS (iPad)), Microsoft Windows), the Reporting Module (iOS (iPad)), Android, Microsoft Windows), the Document Distribution (iPad) and Ground Operations Module (iPad).